2nd Place – Frank Averill from Roosevelt Road in Hyde Park – Interesting story. He found one dollar in the parking lot at Stop & Shop on the day we were selling tickets. He said he told the two women selling tickets that he hoped it was a sign of good luck. 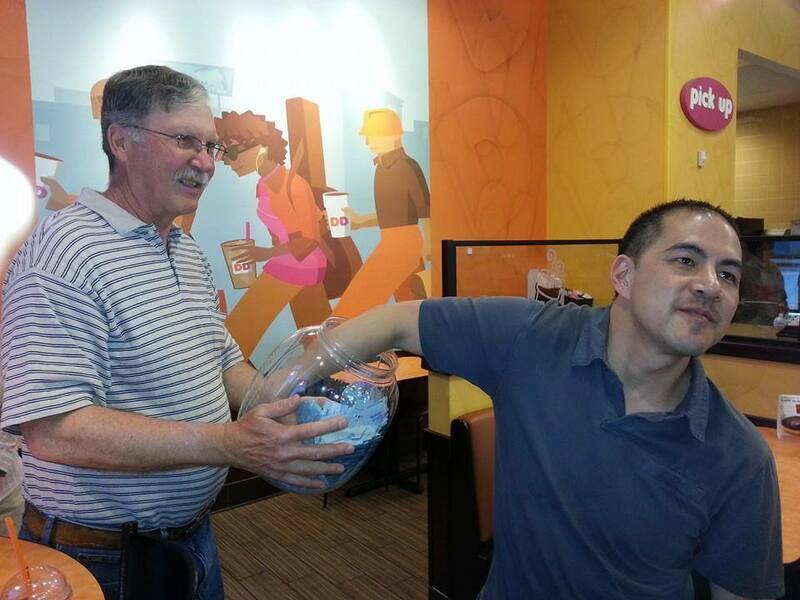 Winning tickets from our Spring raffle being drawn by Yu Shin Chen (Manager) at Dunkin’ Donuts. This entry was posted in Latest News on May 28, 2014 by ngohelpers.